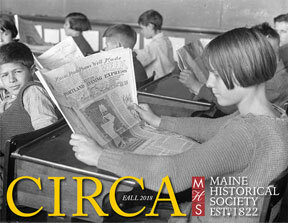 The Maine Historical Society publishes a newsletter with news about new exhibits, acquisitions, and happenings at the society. The newsletter is mailed to all members and the most current issues are available as a PDF file to all. For best results, click on the link below to view or right-click on the link below and select SAVE AS to save the file.